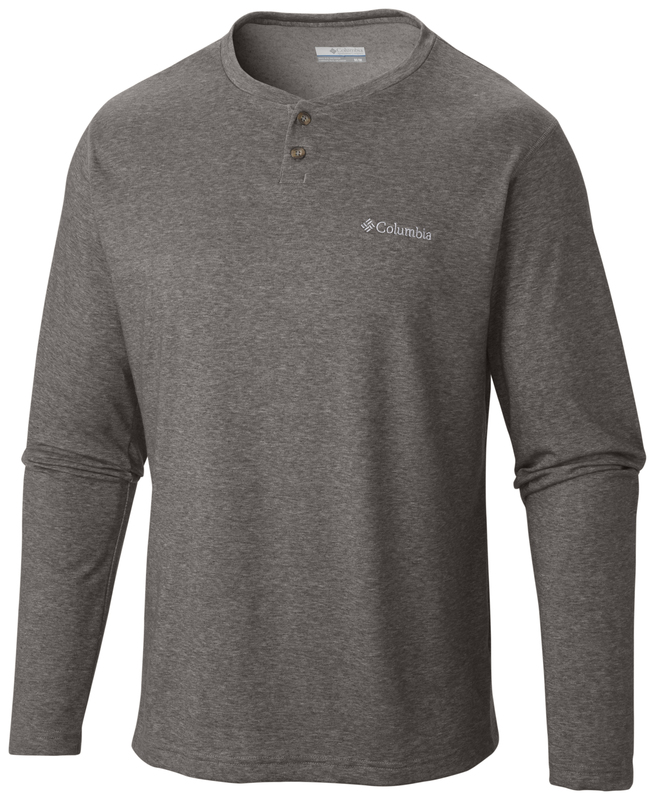 The Columbia Thistletown Park Henley Shirt is casual and comfortable, with a 2-button henley placket for a bit of a twist. 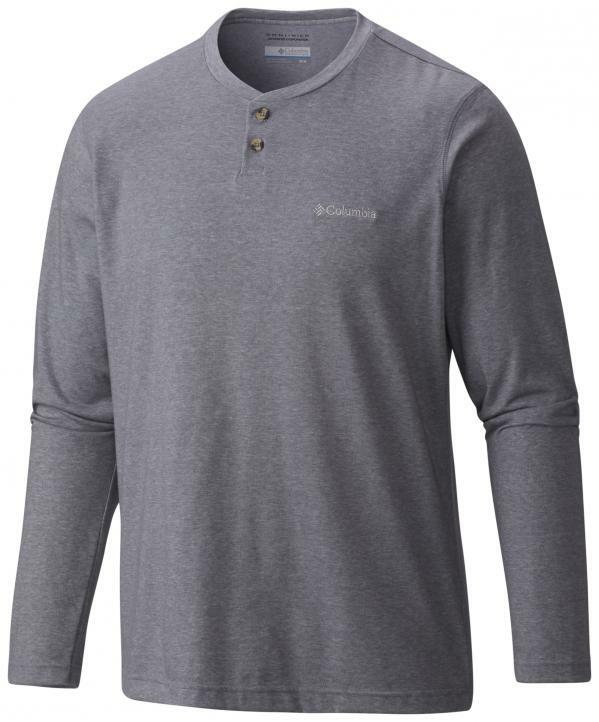 This Columbia long-sleeve shirt for men is made of soft, poly/cotton jersey with UPF 15 sun protection. Omni-Wick moisture-wicking technology keeps you dry and comfortable for work or outdoor activities. 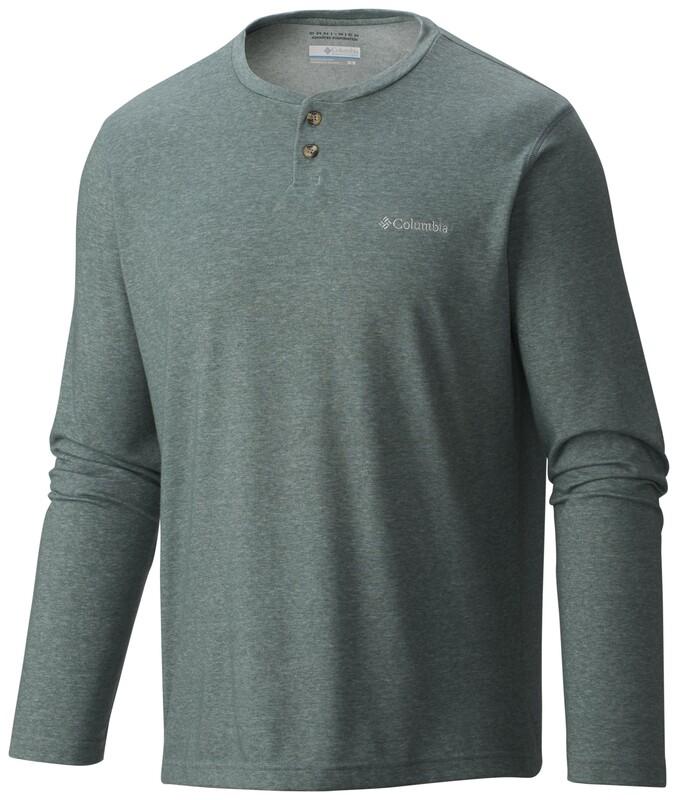 The Columbia Thistletown Park Henley is a great stand-alone shirt or rugged-looking base layer.